Mike Piker and Gabe also had really good races so we were four for four for our Jackson, WY / Victor, ID posse. Not bad. ...Or the giant just might leave a tire tread across your forehead! "There should be plenty of smack talk on the way, but only one smack talker on the way home." My first race on a 29er will have to wait a while longer. A delay in getting the last few parts and my busy schedule means the Sultan is still in pieces and I have decided not take an untested bike to the Cream Puff. I am dying to get on this bike but there is lots to do before leaving on Friday for Oregon. Instead, I spent a little time over the weekend making sure the Flux was race ready by bleeding the brakes, installing new brake pads, installing new cables & housing, and swapping out my small & middle chainrings. Random Tech Note: Race Face Team chainrings have teeth that are a little taller than Shimano rings and this can make it tough to use the 34R/32F combo if your chainline is a little off. When in the 34R/32F combo I was getting a "click"; like the chain wanted to drop into the small ring even though FD tension was perfect. I had to switch back to Shimano rings and this solved the issue with no other adjustments. First off, my trusty Flux needed some attention before Saturday's ride. Nothin' makes a bike feel as good as freshly bled brakes and new brake pads! The trails in Jackson have dried out sooner than most in Teton Valley so I got up at 0-dark-hundred and headed over to ride the Snow King trails early Sat morning to "get my climb on". Saturday's ride was a much-needed dose of singletrack and I had the trails all to myself. Within minutes of leaving Fitzy's I was in climbing through the forest in complete silence with the morning light filtering through the pine branches. Man, the Snow King trails fun! For the locals, here is the route of my double loop. Head straight to Kashman's for a Mediterranean omlet, bagel, and potatoes. Yum! We are loving the new house and most of all we love being in Victor. In addition to being closer to Jackson, we are closer to the network of trails at the south end of the valley. I can't help myself. I am a tinkerer. So now that I am making the leap into the world of tubelessness, I want to tinker with making tires less pourous and easier to air up the first time. Tubeless Ready tires have already proven to a "no brainer". Simply add a little Stans, inflate, and ride. But my favorite race tires, Schwalbe Racing Ralphs, are proving to be tricky. I may ruin a perfectly good tire in the name of science but I am willing to take one for the team. Stay tuned. I got an email from my stone-cold homie JayP over the weekend asking me what my travel plans are for the Cream Puff which tells me that he has a race-itch that he needs to scratch in a bad way. I let him know that I would drive and that he was more than welcome. But as of today, I haven't received the "I am in" call from JayP. JayP is formidable foe for sure. But have I scared him off with my meticulous race prep? Did my show of power during the Tues Night Worlds last night create fear, uncertaintly, and doubt in his mind? Did he hear the rumor that I might shave my head before the race in an effort to drop a few ounces? I think it takes JayP about 2.5 days to warm up and since the Cream Puff is only 100-miles I will attack him early and try to hold him off! Bring on the Puff! Nothing too epic to report this weekend but I did ride Fri, Sat and Sun in great weather...finally! I think Mother Nature decided that we have had enough crappy weather for a while so she made up for it with 74 & sunny. Saturday's ride was an exploratory mission from the new house. Even if the trails are perfect, there is something very cool about riding dirt from the house and connecting several trails so Saturday's ride was all about discovery. I loaded up the Camelbak, grabbed a map, and headed out to the Powerline Trail. Dead End. I needed to get down to the road below to continue. After one very rude hike-a-bike (think Kokopelli - Rose Garden Hill, up & down), my new-to-me trail was a blast and I was sure it was going to turn into a "go to ride" for me. But then it simply ended on the side of a canyon. Doh! I could see the road below me that I needed to get to in order to continue linking the Powerline Trail but it was about 1000' down, very steep, and thick. Oh well, back the way I came. Part of learning a new area is learning where NOT to go right? Sunday was fun, social ride with Michelle, Tina, and Suz in GTNP from Moose, WY to the top of Signal Mtn and back. My fancy-schmancy PowerTap rear wheel is down. While descending Teton Pass Fri evening I started to feel a "pulsing" that turned into scary speed wobbles at about 45+ mph so I feathered the front brake and stopped to check it out. My rear wheel was rubbing my brake pads in one spot but I hadn't hit anything to knock it out of true. After pulling the wheel off to true it at home I could see the issue is the carbon braking surface developed a "bubble" or "bump" possbily from the heat of the brake pads. I am using the yellow pads for carbon rims so this should not happen. I REALLY hope Reynolds takes care of this one for me and I suspect that they will. The weather here currently is enough to make a cyclist question his/her reasoning for living here. I know it will pass and we will have some excellent riding this summer but at the moment it is a bit frustrating. Ok, I am done whining. I may get out for a short spin today on the cross bike but recovery is the main focus after a big weekend of riding. The legs were tender on Monday but feel ok today just walking around. Two events have popped onto my personal radar and might get added to the calendar. The date for the Crested Butte Classic has been moved from July to September due to snow and may actually work for me. I will have to see whether the brain is still in bike mode or has shifted to elk hunting mode. Chris E joined me for the first 2.5 hours of my planned 6 hour ride and took me on a tour of Victor's secret trails and backroads. We connected dirt roads, gravel, pavement, double-track, and muddy singletrack in an interesting loop that put us right back Chris' house where I refilled a bottle and then kept it rolling. My plan after leaving Chris was to explore the Power Line trail and Rainey Creek Rd. It felt great to be on the mtn bike even if it wasn't pure singletrack. The legs were definitely feeling the two prior days' efforts though. I didn't have a lot of zip but I felt like I could just keep grinding along forever. My little camera makes these two look farther away than they really were. I didn't want to upset momma so I took my time getting by them! Rainey Creek Rd was a cool find. There were a couple of big snow drifts blocking the road which meant I had the road to myself instead of having to share it with trucks and ATVs. I also saw several spur roads & double-track trails I want to go back and explore soon. JayP and Jill were up for a big ride as well so we left Jackson around 10:15am and headed clockwise towards Alpine, WY. This meant we would climb Pine Creek Pass and Teton Pass near the end of ride and it proved to be tough. I think going this direction adds 15 to 20 minutes to the ride time vs. climbing the pass first. Three riders is a perfect number for a big road ride because the paceline rotation is efficient and you get a bit longer to recover from each pull at the front. I knew the climb up Teton Pass at the end would be tough...and it was. But the descent down the pass into Wilson was brutally cold and the cross-winds were a bit scary. Side Note: After stopping in Swan Valley for water and snacks my PowerTap had gone to "sleep". So I double-pressed the buttons to enter the "find" mode but with my cold fingers I held too long and cleared the first 3:25:00 of my ride. Fack! My complete power file would have been as pretty as a Tom Mangelsen shot of the Tetons at sunset. Ha! This was a very hard day on the bike. This ride was a huge mental victory for me. Once I got geared up and out the door, I had a great ride and discovered new backroad areas to explore. I was dressed perfectly and could focus on the ride instead of the wind and the rain. This past Tuesday I had bike fit done at Fitzgerald's Bicycles by the man himself. The two goals for the fit were to dial in my road bike saddle position and then to be able to duplicate that saddle position on my other bikes for maximum efficiency. Fitzgerald's uses the Serrotta Personal Fit system to fit their customers based on natural pedal stroke, fexibility, core strength, and range of motion. It is cool stuff and I could spend a ton of time geeking out on the "fit cycle". My road bike was very close but we moved the saddle up about 5mm. My mtn bike and cross bikes need a little tweaking. I must have long femurs because I need a lot of seatpost setback to get into the correct position and my other two bikes have straight seatposts currently. I will be swapping the straight posts out for ones with 25mm+ of setback shortly. Bontrager Tubeless Ready tires are a tight fit and this lever makes it a relatively painless process. I have had this tool for a while but I will be using it a lot more now as I move to tubeless tires. Yeah, that is snow. I am not whining though. I could have gone south but I chose to roll the dice and stay home and ride so I will just deal. It is time to put the 5 Spot frame up for sale. I still love this bike but after riding Chris E's Turner Sultan last fall I knew I wanted to try a 29er and that meant one bike had to go to make room, in the garage and the wallet, for a new bike. I will use a lot of the parts from the 5 Spot in the next build. Speaking of the next build, look what showed up from Big Wheels Colorado. Mike C. was runs a tight ship and I was impressed with his responsiveness and turnaround time. Plus, he knows a little bit about endurance racing so I trust his recommendations. This wheelset is only 150g heavier than my DT Swiss/King/Sapim build on my 26" Flux. Fruita is the best option for great riding and weather but the 8+ hour drive is a downer. I wish there was a good option 4-5 hours away. It doesn't even have to be "great" riding at this point. Dry dirt with some climbing is all I need and the rest is a bonus. Any ideas? I wonder how dry it is in & around Park City, UT right now. We have exciting local race news. Cyclocross racing will happen in Victor, ID in 2008! 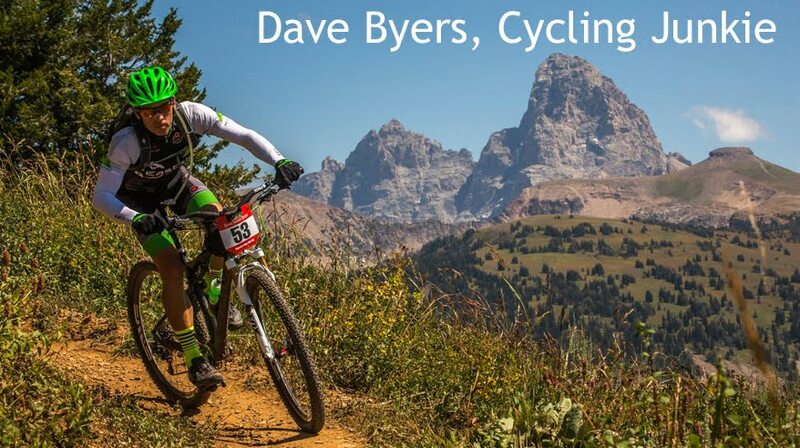 The first race will be September 20th and coincide with Grand Teton Brewing's Octoberfest. The city of Victor is behind it and there is already a buzz. The details are being worked out but it is likely that there will be at least 3 races to form a short 'cross series that goes into October. I have zero genetic talent for this type of racing but I can't wait start practicing barriers and dismounts.